The name: "Cro-Magnon" comes from "Abri Cro-Magnon", Les Eyzies, France where the remains were found. "Cro-Magnon man" is represented by the remains of five individuals found in March of 1868. The remains were those of 3 adult males, 1 adult female, and one infant. Evolutionists hold that Neanderthal is either a subspecies of humans or as a separate species. They hold that Cro-Magnon is an early modern human. However, recent finds of Cro-Magnons with 'Neanderthal traits' were found in Lagar Velho (Portugal) and interpreted as indications of extensively admixed populations. So what are they really? Are they human or not? Evolutionists don't seem to agree. The bodies of the "Cro-Magnon" people were discovered by Louis Lartet and Henry Christy in March of 1868. Evolutionists claim these remains are from 30 to 32,000 years old. However, these remains better fit the time frame after the flood, about 4,400 years ago. Cro-Magnon man was a true human and looked just like you and I. They ate vegetation and meat, and hunted many animals. They had a culture not unlike our own. Cro-Magnon man not only used sophisticated tools, but also used fire. The Cro-Magnon man remains qualify for true human status based on their physical morphology, their brain size, and their culture. Cro-Magnon were fully human descendants of Adam and Eve, just as the Neanderthals were. They did not kill off the Neanderthals, as some have proposed, but replaced them in the sense that as time went on, people did not live as long as they once had. The same bony changes that occurred in Neanderthals in old age, would have occurred in Cro-Magnon, but not to as great of an extent. This is because they never lived long enough for these bone growths to occur. Cro-Magnon is a direct descendant of the Neanderthals, not a separate species of man. The process that shortened the life span of man had sped up considerably after the flood. Neanderthals were people who lived before and shortly after the flood. The skeletons erroneously labeled "Neanderthal" and "Cro-Magnon", are all fully human. I believe that their remains represent the descendants of Noah, living very long lives in a harsh new world after the flood (see the 16 grandsons of Noah article). The life spans of humans gradually dropped-off directly after the flood. Cro-Magnon were simply humans who did not live as long as the Neanderthals. Here is the Biblical geneologies of Shem's descendents from Genesis 11 (Shem was one of the sons of Noah). 32 Terah lived 205 years, and he died in Haran. Genesis 10 lists descendents of all three of Noah's sons - Shem, Ham and Japheth. 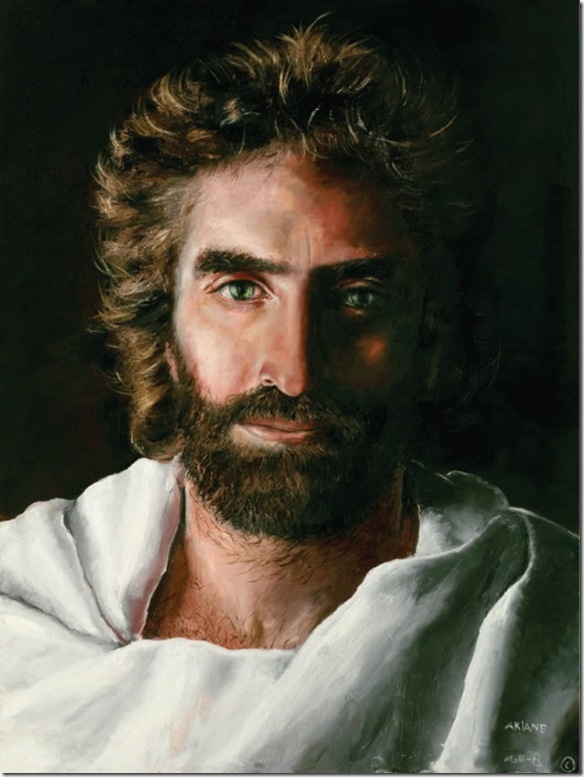 Some of these children, grandchildren and great-grandchildren, and so on were the Neanderthals and Cro-Magnons, and also the founders of all nations of the earth today (please see the Evolution page for more on this topic). because it was an ape man, but were caused by a fungal infection. 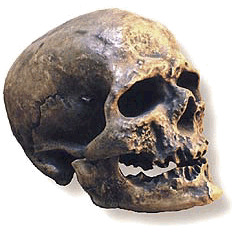 The most complete skull is Cro-Magnon 1. It belongs to an adult male. It is nicknamed the "Old Man" of Cro-Magnon, though Vallois (1937) attributes the skull to a man of approximately 50 years of age. Due to the different rates of maturation of the Biblical Patriarchs (Neanderthals) this age would also need to be adjusted to a rate in between that of Neanderthals and present day Homo sapiens (see "Buried Alive"). Cro-Magnon 1 is an almost complete skull. It lacks only the dentition (teeth), and the mandibular condyles. The abnormalities in Cro-Magnon 1 can be attributed to pathology. Actinomycosis, sometimes called "lumpy jaw" is caused by a bacteria in the face. A fungal infection by Actinomyces israeli appears to have corroded the face of Cro-Magnon 1. The introduction this fungus can occur from trauma, infection or surgery. Though Neanderthals practiced a form of dentistry (which evolutionists will not acknowledge, see pg 41-2 "Buried Alive" by Dr. Jack Cuozzo), and cared for their sick, no evolutionist would ever want to admit Cro-Magnon could have practiced such an advanced form of medicine. Actinomycosis becomes localized in the face and jaw, but can also spread to the chest and lungs. Long term treatment with antibiotics is often required. Flint tools have been found associated with the skeletons. Pierced seas shells were also found, most likely the remains of jewellery.